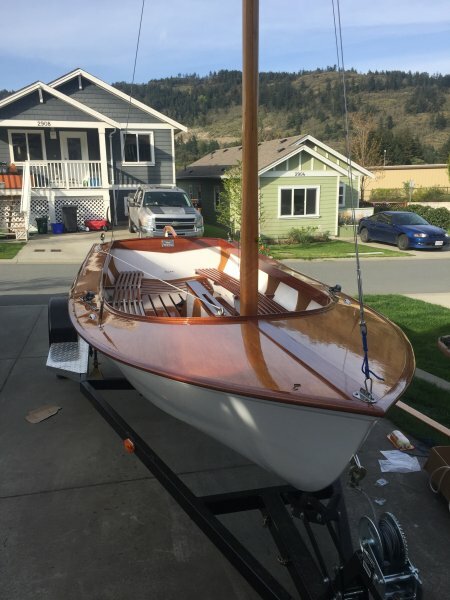 Kelsey Johnson built “Knute” over the course of a year and a half. 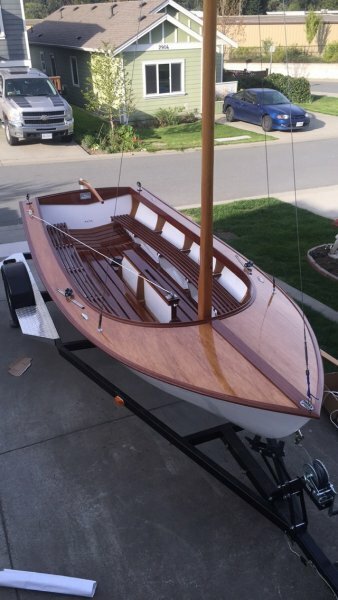 Carpenter by trade and a first time boat builder. 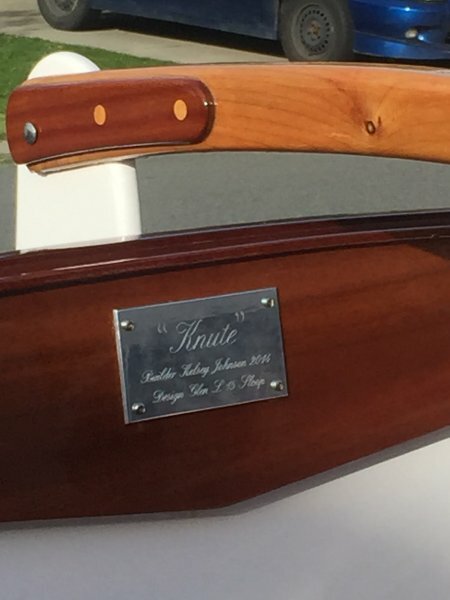 It was made of white oak for the frames, mahogany for comings and trim, marine grade plywood for hull. This is a Glen L15 design. 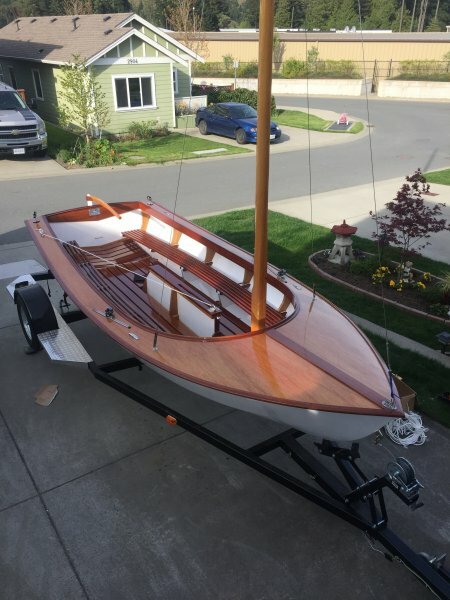 The mast and boom is douglas fir. 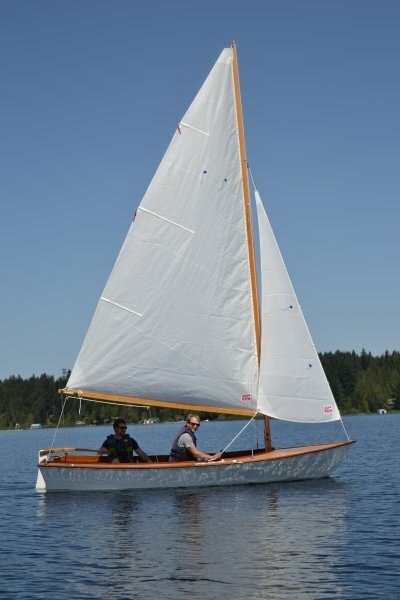 This boat was built and launched at Shawnigan lake on Vancouver Island, B.C Canada.